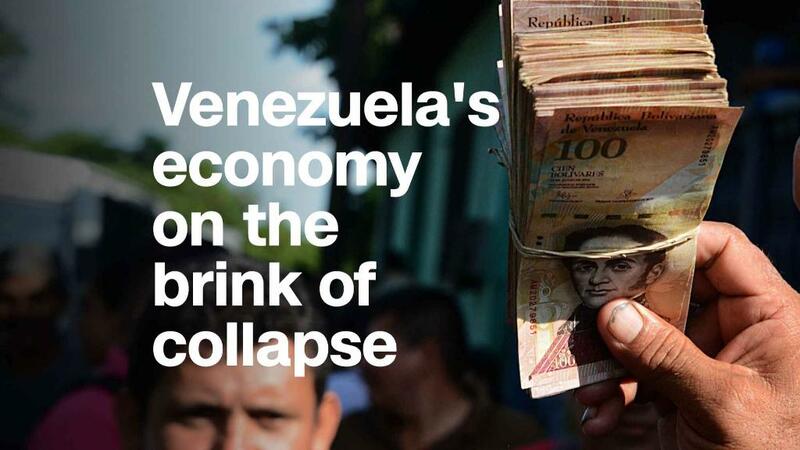 Venezuela has lost half of its economy since 2013. It's getting worse. Unemployment will reach 30% and prices on all types of goods in the country will rise 13,000% this year, according to new figures published Thursday by the International Monetary Fund. The IMF's economist for the Western Hemisphere, Alejandro Werner, put Venezuela's future bluntly. "In Venezuela, the crisis continues," Werner said in a blog post. 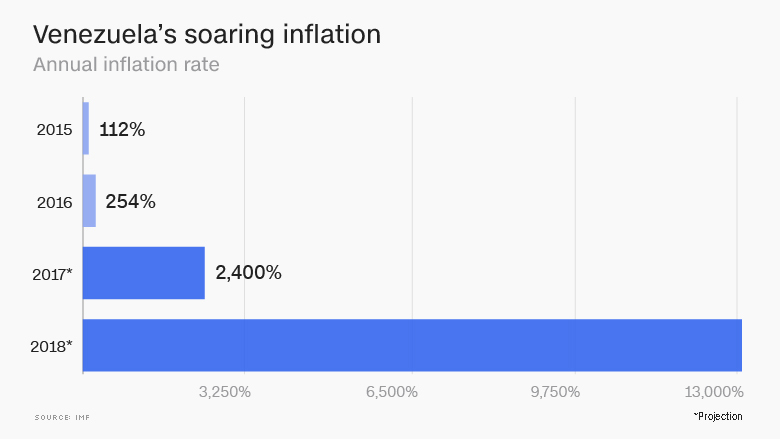 He added that inflation is skyrocketing this year because of "the loss of confidence in the nation's currency." This year will mark the third consecutive year of double-digit contractions in Venezuela's gross domestic product, the broadest measure of economic activity. The nation's GDP declined 16% in 2016, 14% last year and it's projected to fall 15% this year, according to the IMF. Venezuela is deep into an economic, political and humanitarian crisis, largely inflicted by the government's own policies, economists say. Food and medical shortages are widespread. People are scavenging for food in dumpsters. Citizens are fleeing by the thousands. The currency, the bolivar, is nearly worthless. The government has defaulted on its debt. World leaders are calling President Nicolas Maduro a dictator. The political turmoil is not expected to get better. Maduro's administration said this week it will hold presidential elections this spring. Maduro has already excluded opposition leaders from participating in the election. It's unclear if anyone is actually allowed to run against him. Meanwhile, the economy shows no signs of recovery.